Bulgaria – the hidden jewelry of Europe, the country of myths and legends, of Heroes and Gods. The millenary history, the old stones and the modern life. The romantic sunset on the sea coast, the calm of the parks and the intensity of the life in the clubs of Sofia that close with the beginning of the new day. Add to this the delicious meals of the Bulgarian cuisine and the fine wines Bulgaria is proud with. Add also the VIP private services you will receive and you could imagine your honeymoon in Bulgaria. 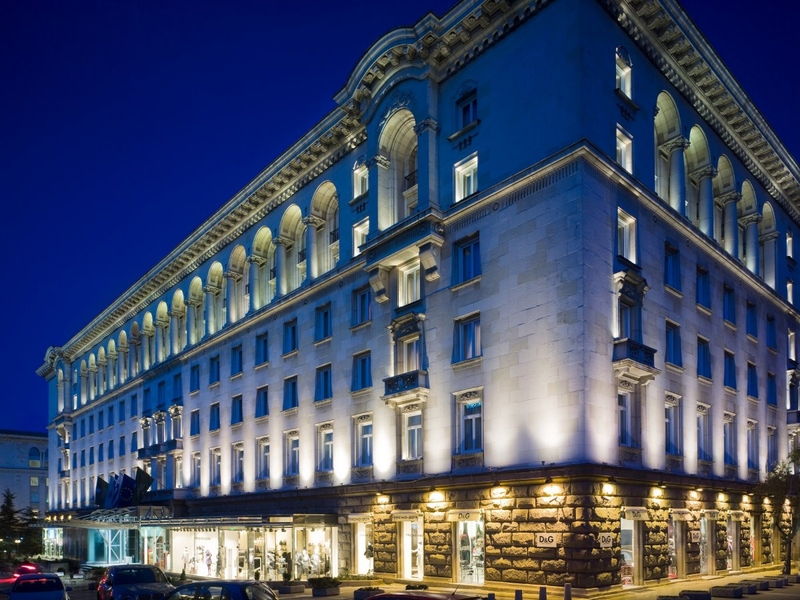 Private transfer from airport to downtown hotel Sofia Hotel Balkan A Luxury Collection Hotel 5*. Accommodation in an executive room featuring high ceilings with chandeliers along with daily turndown service and exclusive bathroom amenities. Executive Rooms include access to the Executive Lounge, which serves a light breakfast in the morning, coffee and cookies in the afternoon, and cocktails in the evening. Breakfast. Private walking tour to the city center (about 3 hours). You will see St.Sophia church dating back to 5th-6th century of our era, a monument of Bulgarian medieval civilization that gave the current name of the town. Visit the largest cathedral Alexander Nevski with its gilded dome, the rotunda St.George 3th-4th century and the city fortress and you will feel the atmosphere of the city, which history dates over 5000 years ago. Breakfast. Private transfer to the airport and flight to Varna (including the transfer airport Varna – hotel ) or private transfer Sofia – Varna with a comfortable car with driver with a one hour stop in Veliko Tarnovo – the former Bulgarian capital. Arrival in Varna – the sea capital of Bulgaria and the third largest town of the country. Accommodation in hotel Graffit Gallery Hotel 5* in the center of the city. This is a unique hotel for special guests with 4 different styles of the 4 stores. The Chester floor - where the conservatism of the strict and sophisticated Chesterfield competes with the most modern interior design, complemented by the comfort of wood and the steel accessories. The Carracci Floor - eclectic chic, inspired by the creators of the style – the three Carraccis. Bright red and turquoise blue - in one fell swoop with baroque furniture and surreal elements. And all that under the gaze of the Renaissance artist. The Other floor – with a touch of visual reference to a favorite English check and the minimalist spirit of the classic black and white. Just different and elegant. The Four elements Floor- earth, air, water and light. The green plants in the corridors and in the rooms, the light and the panoramic view. A place, embraced by nature. The pool on the roof and the 4 Elements SPA offer relax and unique ambiance. Overnight. Breakfast. Time to explore the city and to enjoy the beach (from June to September).The famous maritime garden is one of the must to visit in Varna. The Roman Baths (1st – 4th century AD), a huge antic SPA with an area of 7000 square meters is the forth largest Roman baths in Europe. This is another place not to be missed. The history of Varna is very long and rich. At the boundaries of the town were found among the oldest settlements on the Black Sea over 7000 years old. Varna Chalcolithic necropolis dated to 4200 BC. There was found the oldest gold treasure in human history, and other objects of silver, copper, bronze, clay and flint. The town is visited all over the year by big number of tourists. They are attracted by the sunny town, the beach, the famous maritime garden and the numerous restaurants and bars. Overnight. Breakfast. Leisure day for beach, walk, relax. Private transfer to the airport of Varna and flight to Sofia or transfer in car with driver to Sofia. Breakfast. Time for walking, shopping, exploring the city. Dinner t.In the evening a big choice of clubs and discotheques with different type of music – pop , house, pop folk, jazz…. Overnight. Breakfast. Private transfer to the airport.